As previously reported, PEI pop-rockers Two Hours Traffic have begun prepping the follow-up to 2009's Territory. 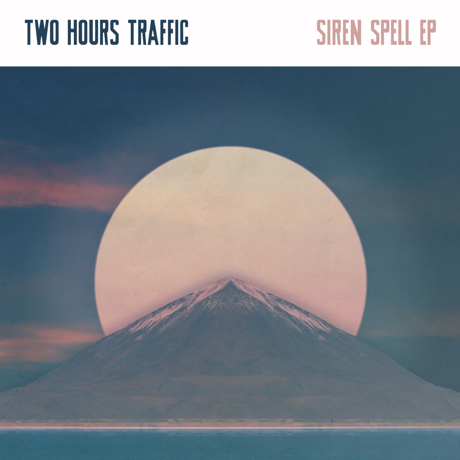 But before the new full-length comes our way in early 2013, the four-piece will be releasing the Siren Spell EP on September 11 via Bumstead. The new material saw the band part with long-time producer Joel Plaskett in favour of working with Darryl Neudorf (Neko Case, the Sadies, New Pornographers) at his studio in Orangeville, ON and make a move towards a more Motown-inspired sound. Speaking about the new direction in a press release, singer Liam Corcoran said, "We were calling it 'pop 'n' roll' in the studio. We were really trying to have that balance of a catchy melody and some rock 'n' roll energy." Thematically, the songs stay in line with those of 2007's Little Jabs, though Corcoran points out: "We consciously tried to write about love from a few different angles. Some songs are very pro-love and happy, others are a lot more frustrated." The band is expected to reveal national tour dates later this fall, but the four-song EP should tide fans over for a bit. Check out Siren Spell's tracklist below and scroll past that to stream brand new track "Amour Than Amis."